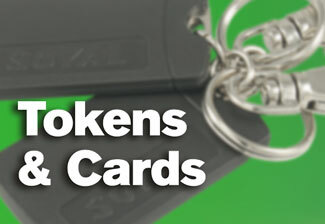 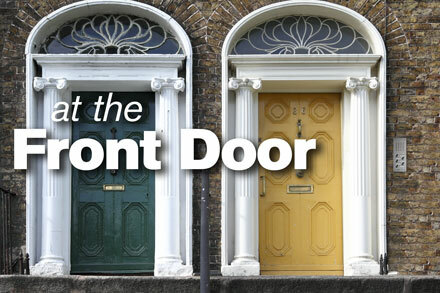 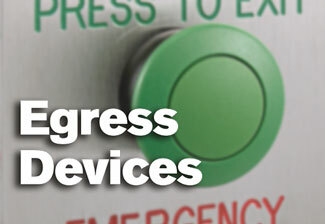 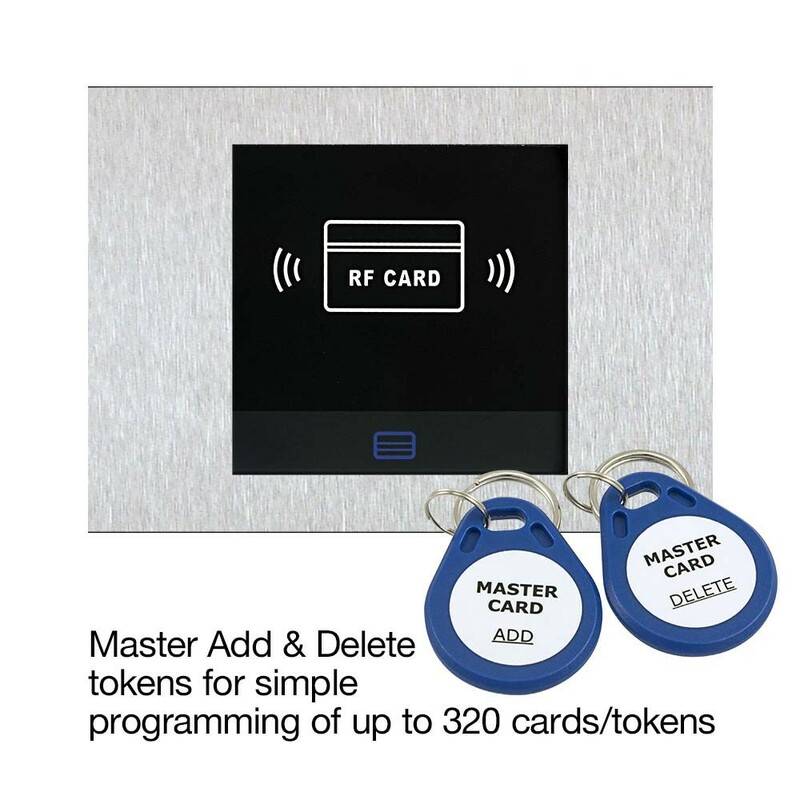 Easy to use with clear audio and visual feedback. 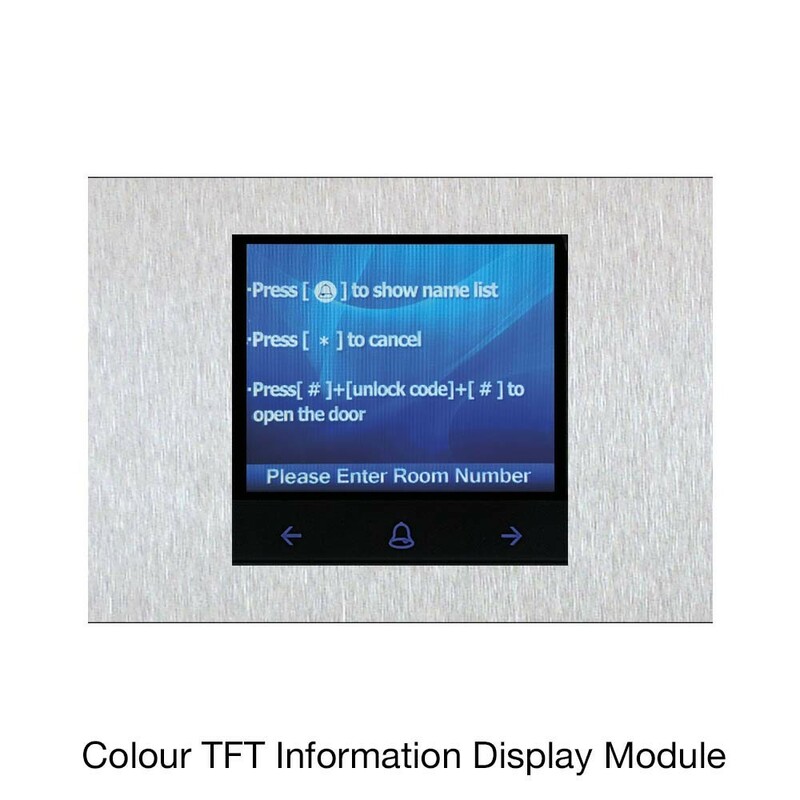 The new Touch range of modular door entry panels has been designed to give the visitor the clearest visual and audio response. 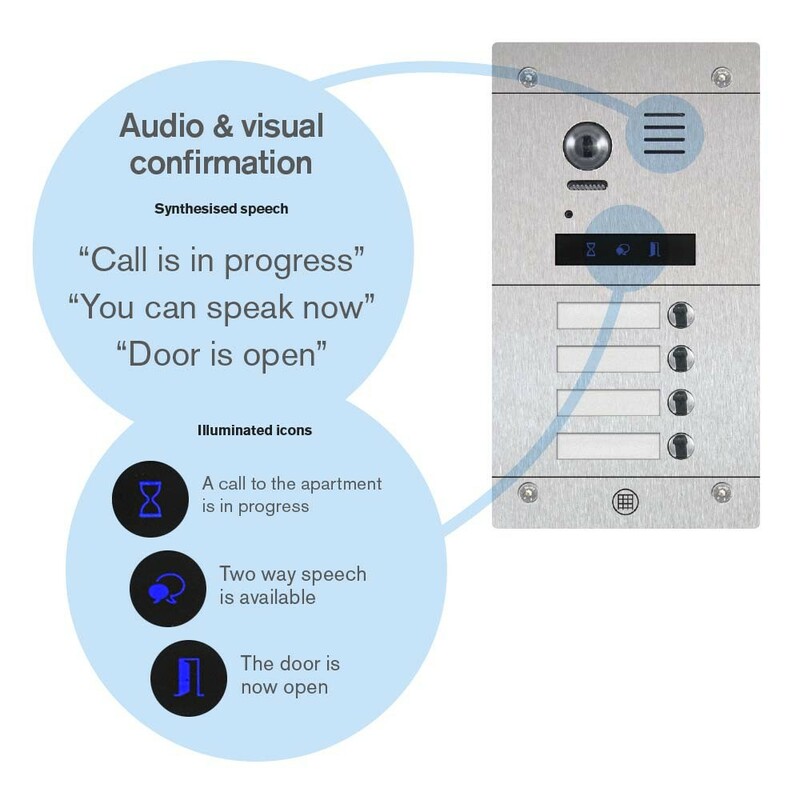 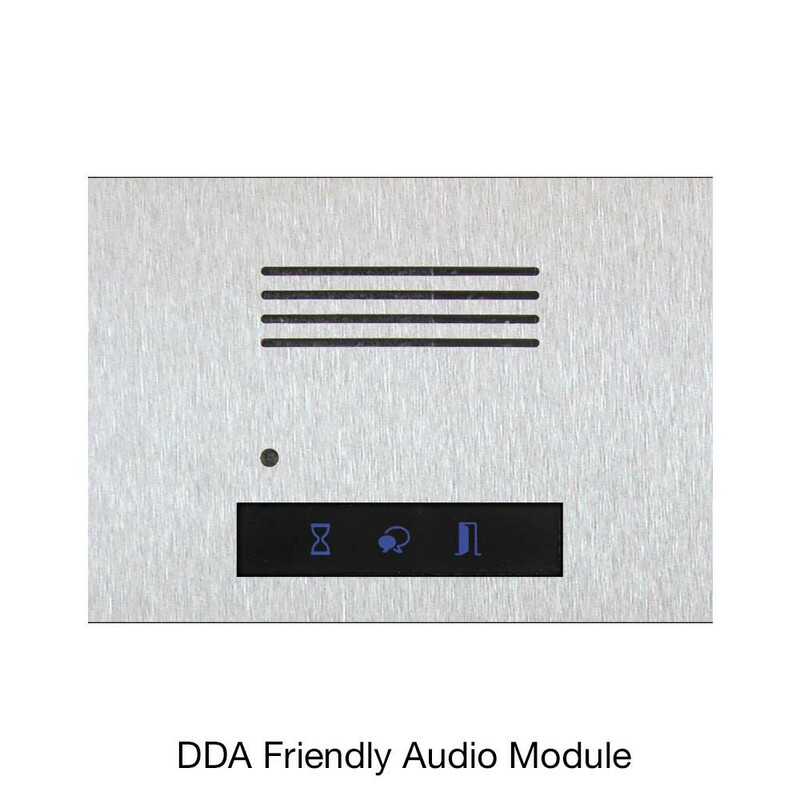 The solid, heavy duty stainless steel panels offer DDA friendly voice instructions and visual indication with wide angle view and clear audio. 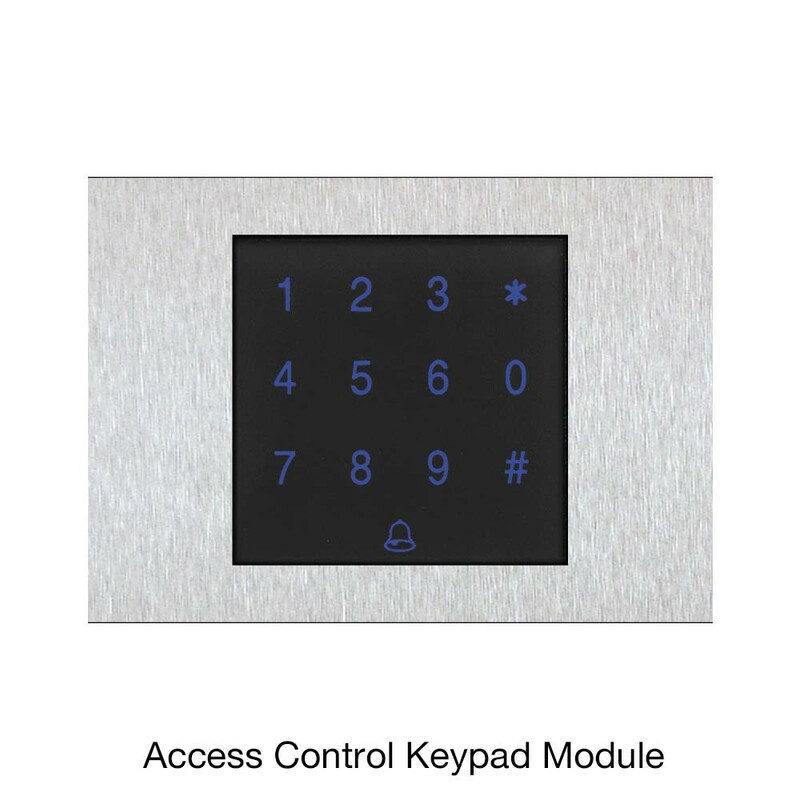 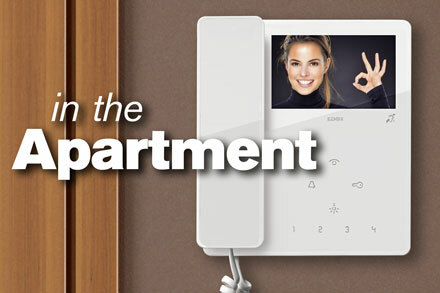 These modular panels offer a number of additional options including; keypad access control, proximity access control for residents (up to 320 Token/Cards), colour information and direct call display module, which when combined with the keypad module provides full digital dial function. 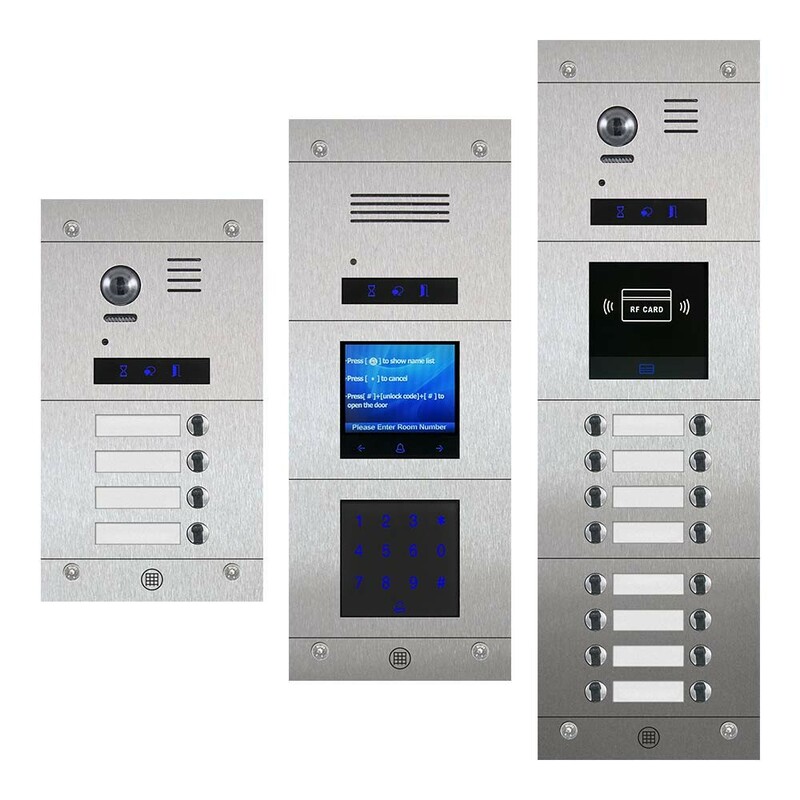 ‘Mix & Match’ modular panel design for a fast delivery and quick self-assembly into 2, 3 or 4 modules frames*. 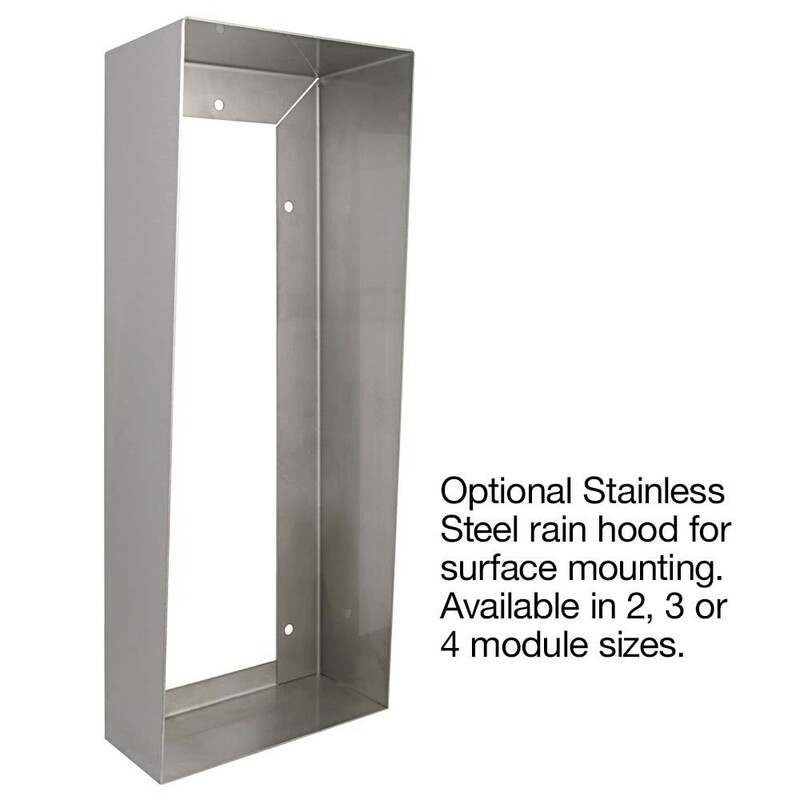 Rain Hood (Optional Stainless Steel rain hood for surface mounting. 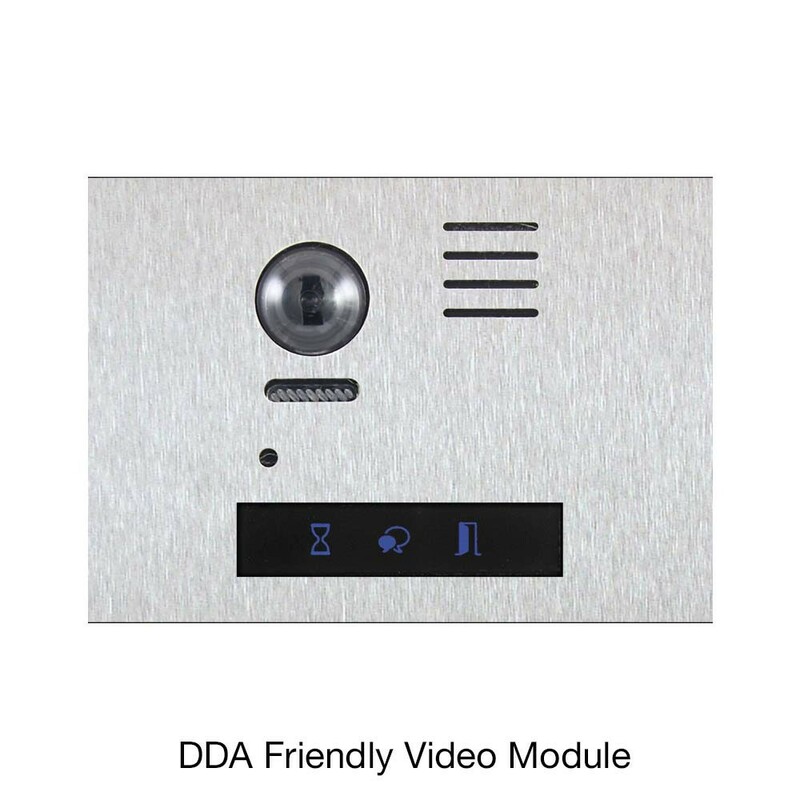 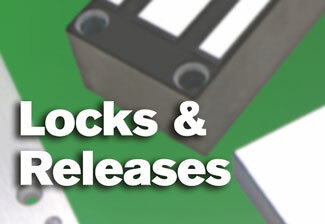 Available in 2, 3 or 4 module sizes. 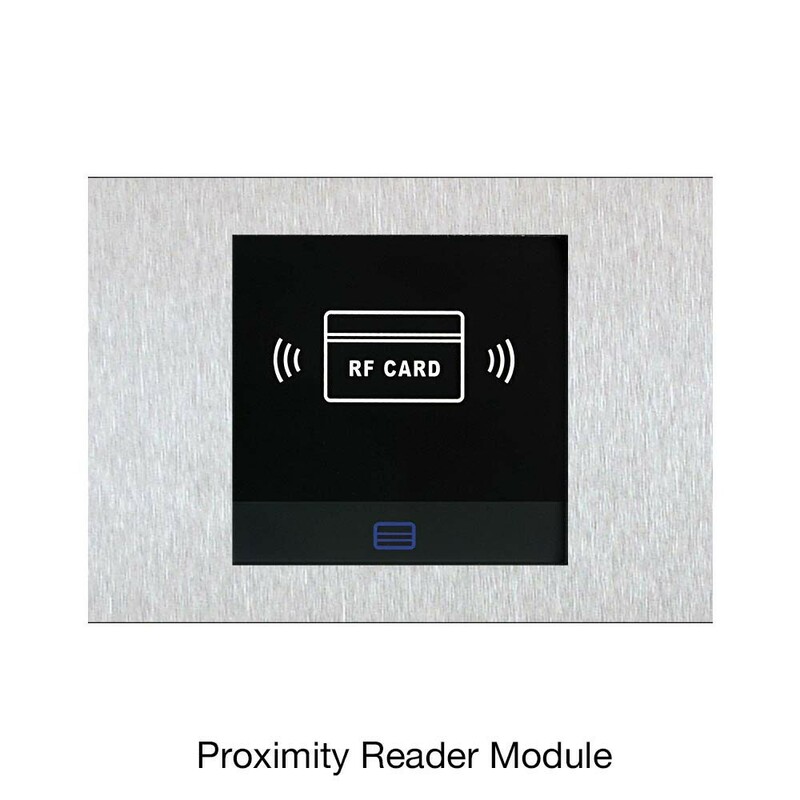 With just a single power supply required for most systems and a wide range of accessories the Touch series of panels are a simple 2 wire solution for your door entry and access control needs. 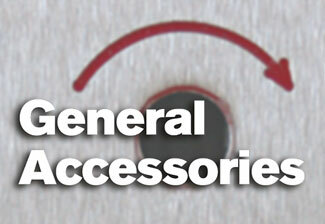 Assembly service available for a nominal fee. 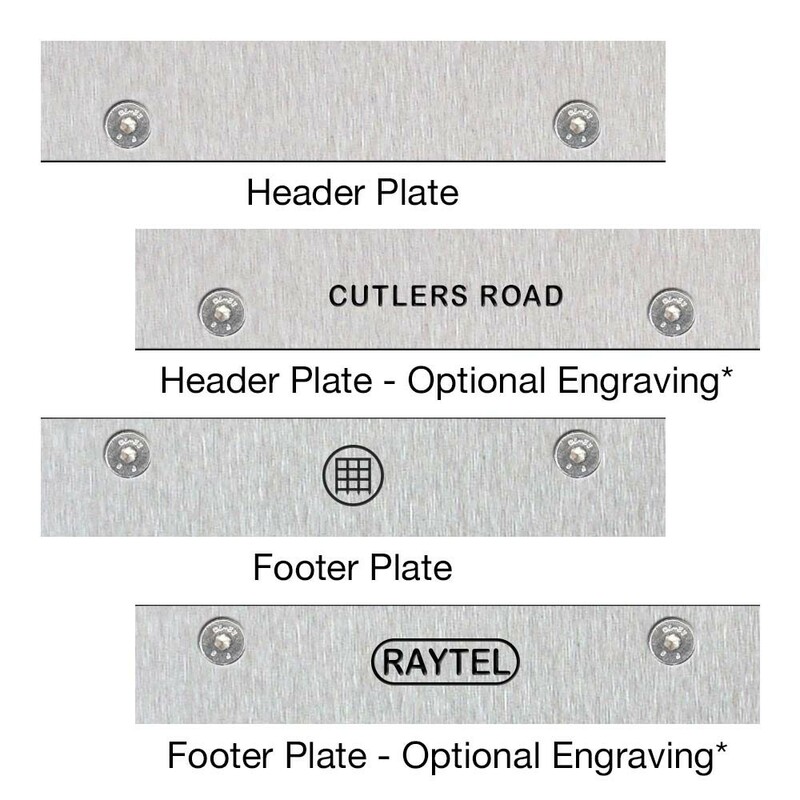 Panel design rights reserved.